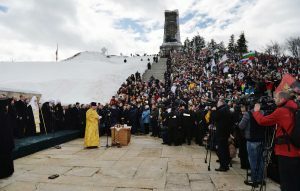 On 1 April 2013, His Beatitude Metropolitan Vladimir of Kiev and All Ukraine chaired the first session of the Organizing Committee for the 1025th anniversary of the Baptism of Russia. 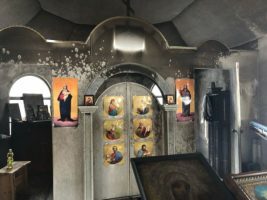 The meeting took place at the residence of the Primate of the Ukrainian Orthodox Church (UOC) in St. Panteleimon’s Monastery. Attending the meeting, besides members of the Organizing Committee appointed by the Holy Synod of the Ukrainian Orthodox Church on 15 March 2013, were representatives of the Presidential Administration of Ukraine and of the Ukrainian Ministry of Culture. 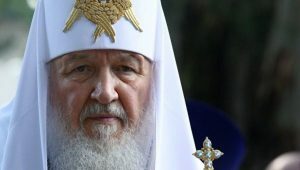 Metropolitan Antony of Borispol, chancellor of the Ukrainian Orthodox Church, presented information on the meeting of the Church-Public Organizing Committee for the 1025th anniversary of the Baptism of Russia. The meeting took place on 27 March 2013 and was chaired by His Holiness Patriarch Kirill of Moscow and All Russia. Mr. Yuri Bogutsky, counsellor of the Ukrainian President, informed members of the UOC Organizing Committee about governmental plans of the jubilee. Participants in the meeting considered a preliminary celebration plan.